In November of 2017 the Ramapo Valley Railroad will be evicted and lose our lease. We are actively looking for a new home. If you know of any space or of anyone that may want to donate space (basement, barn, attic of a commercial building, unused building, etc.) please let us know. The last train may leave Ho-Ho-Kus in November of 2017, but the RVRR will continue to discover new destinations and places to entertain people of all ages. The Ramapo Valley Railroad meets on Tuesday and Friday nights starting around 7:30 p.m./8 p.m. Friday’s tend to be the busier nights. Traditionally on the last Friday of each month, the RVRR will run an “operating session” against a “fast clock” as if the RVRR were a real railroad operating in a 24 hour time period. Visitors are always welcome and club members will always take the time to show guests around or answer any questions. The Club currently meets on Tuesday and Friday evenings, starting around 8 p.m. to work on the layout. Visitors are always welcome and potential members are encouraged to stop by and chat with our colleagues in the Club. If you represent a civic organization (such as the Boy Scouts or Girl Scouts), a school, or an association please do not hesitate to contact us to explore the possibility of having the Club host a special operating or teaching session for your organization. 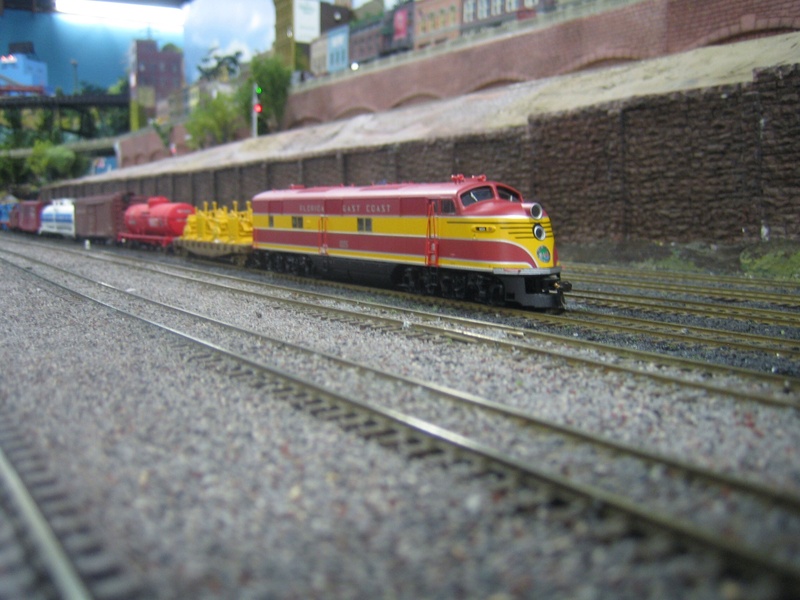 It’s our pleasure to educate people of all ages on the fulfilling hobby that is model railroading and fine scale miniature modeling, as well as emphasize that “safety first” is the most important rule around real railroads and transit systems. The Ramapo Valley Railroad Club is a not-for-profit 501-C7 organization. Every now and then people donate equipment, train layouts, railroad memorabilia and even monies to the organization so that it may continue to serve the community. The Club does not purchase equipment, train layouts, or railroad memorabilia from the general public. The RVRR Club when requested will attempt to direct people to retail experts in the field for evaluation of train equipment.